Hi guys! 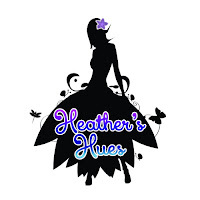 Today I have the It's Fall Y'all Collection from Heather's Hues to show you! 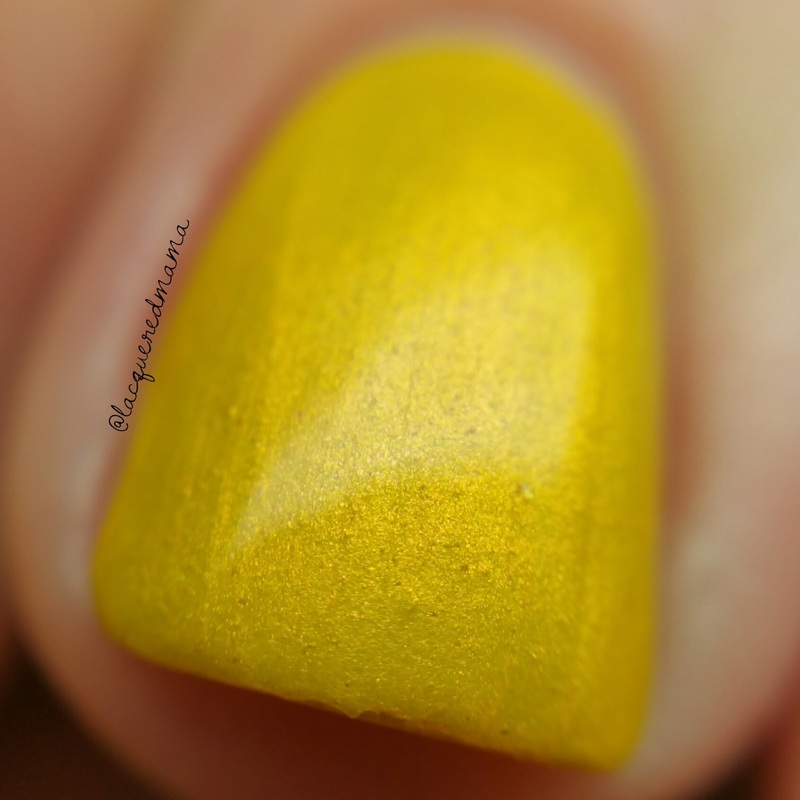 The collection includes ten gorgeous polishes that get me excited for the cooler weather! 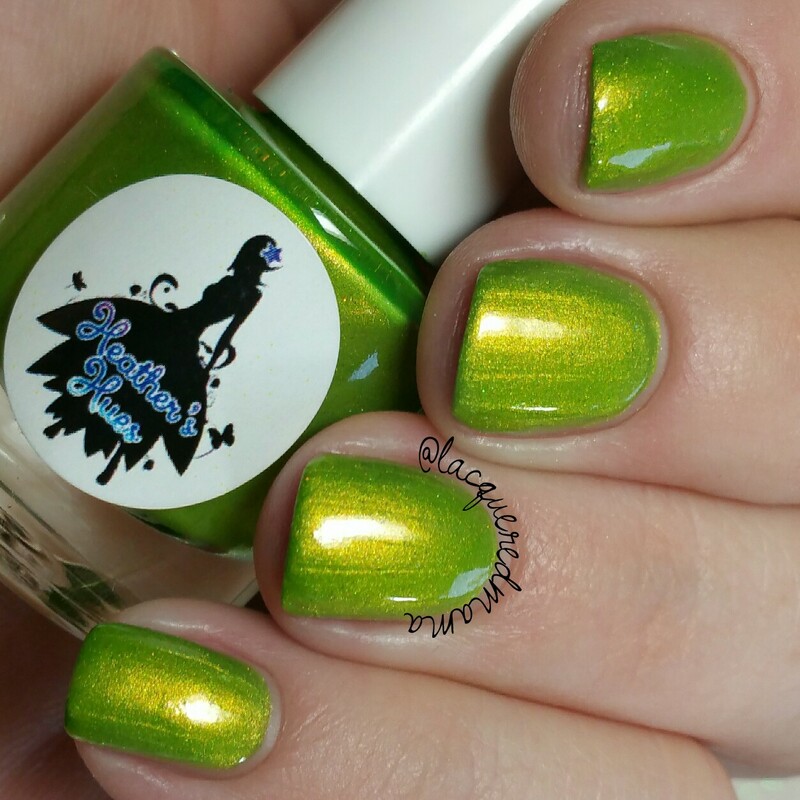 Apples & Caramel is a gorgeous bright green apple crelly filled with golden shimmer! 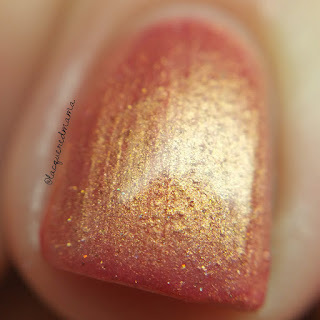 Super pretty and the shimmer really glows! Here I did two thin coats plus topcoat, but depending on your application, you may get away with just one. Snuggle Sessions is a beautiful warm toned medium purple holo! Super smooth formula that was opaque in two coats plus topcoat. 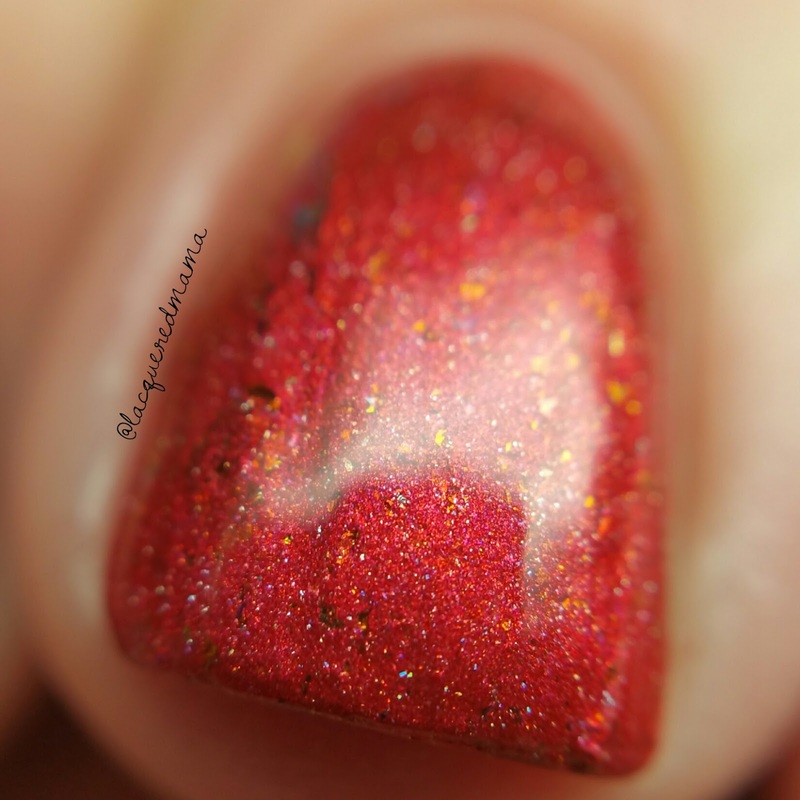 September Sunsets is an amazing red holo filled with gold and multichrome flakes! Super pretty combo! This is also super opaque! I did one coat plus topcoat. Depending on your application you may need a second. 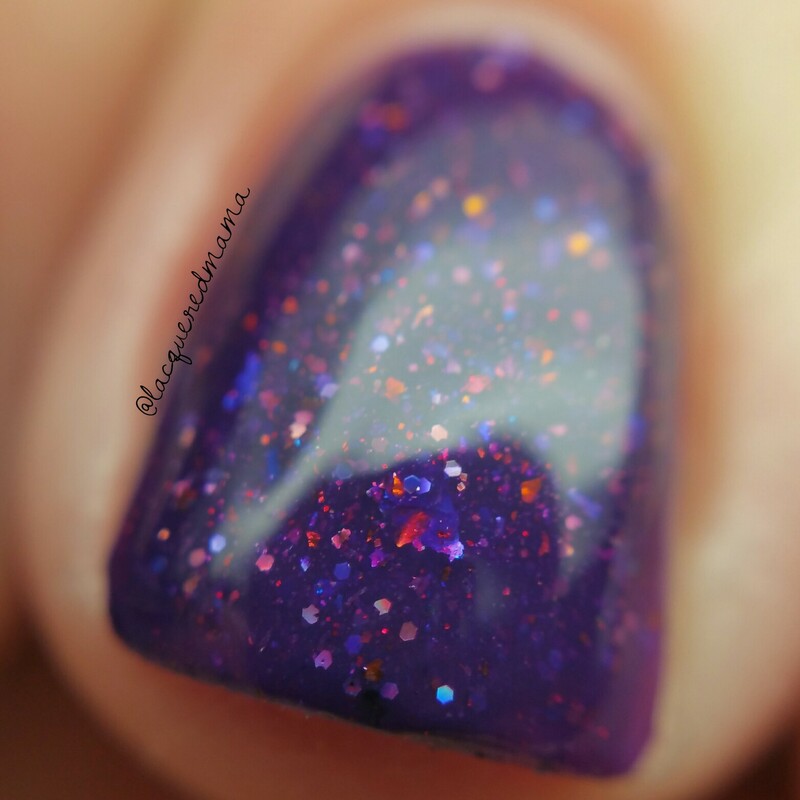 Harvest Moon Skies is a seriously gorgeous navy blue creme filled with silver shimmer! This baby is most definitely a one coater! I didn't have any issues, but since it is so opaque, I'd recommend a good basecoat just to make sure it doesn't stain. 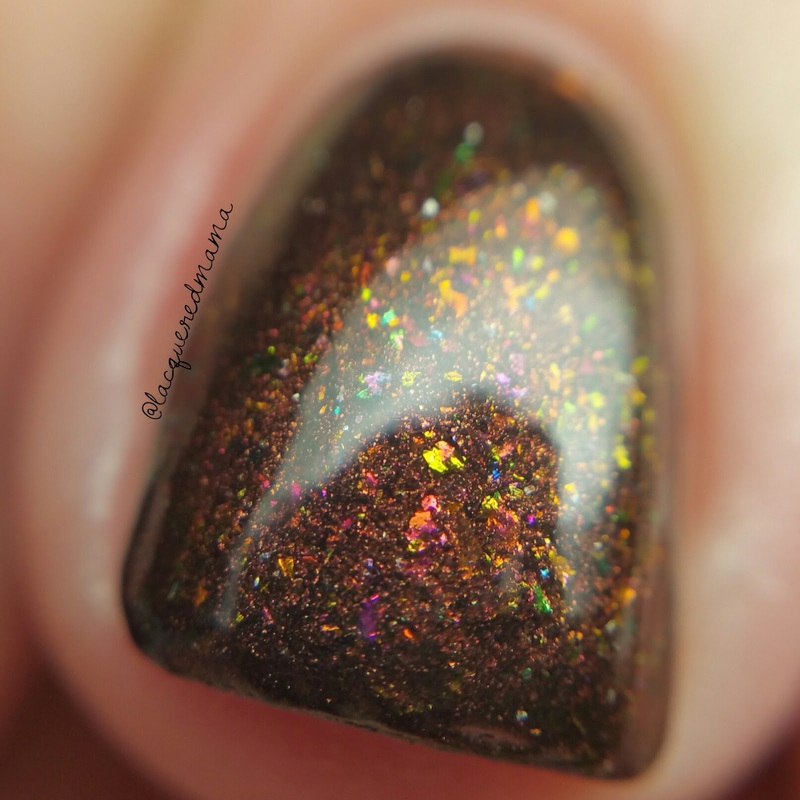 Latte Love is a stunning chocolate brown holo filled with multichrome flakies! Gah! Gorgeous! Again, this formula was fantastic. I did one coat on my pinky and two coats on the other nails. 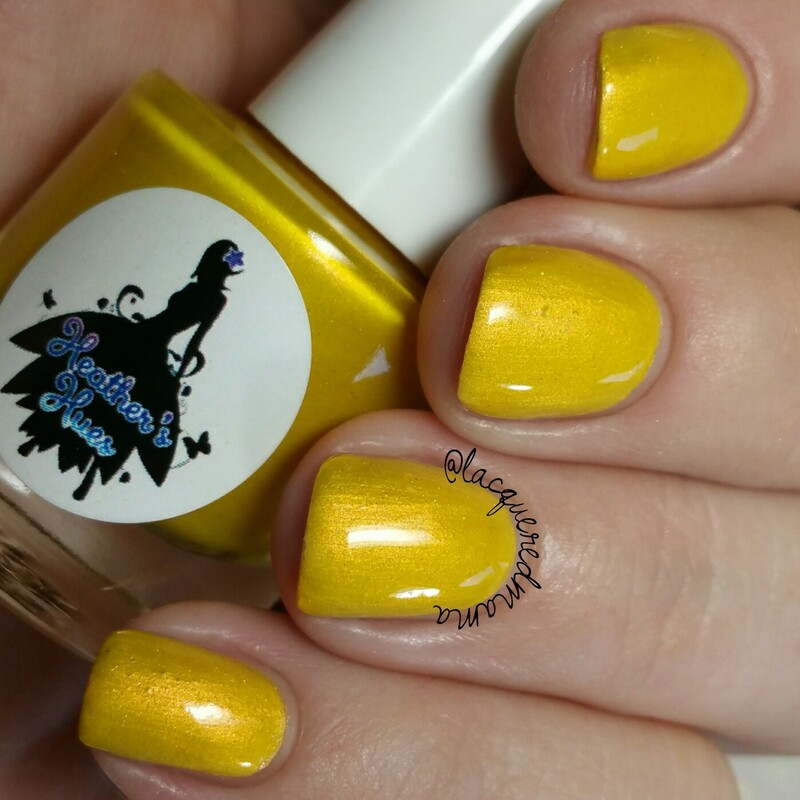 Sunflower Petals is a lovely bright mustard yellow crelly filled with gold shimmer! Super pretty and again, the shimmer really glows! Here I did two thin coats plus topcoat!. 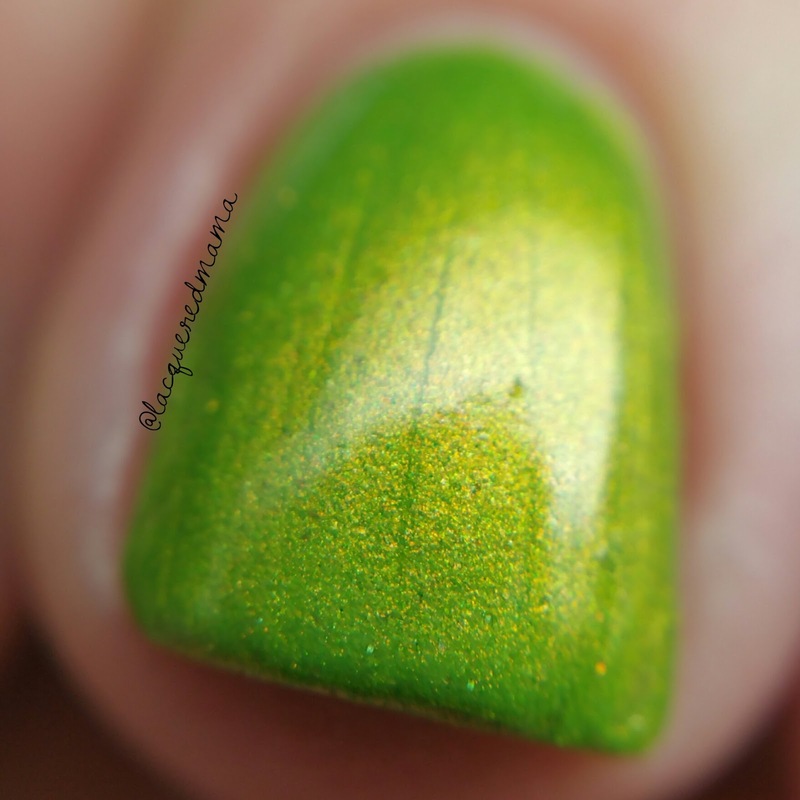 Due to the shimmer, you'll want to be mindful of brush strokes. 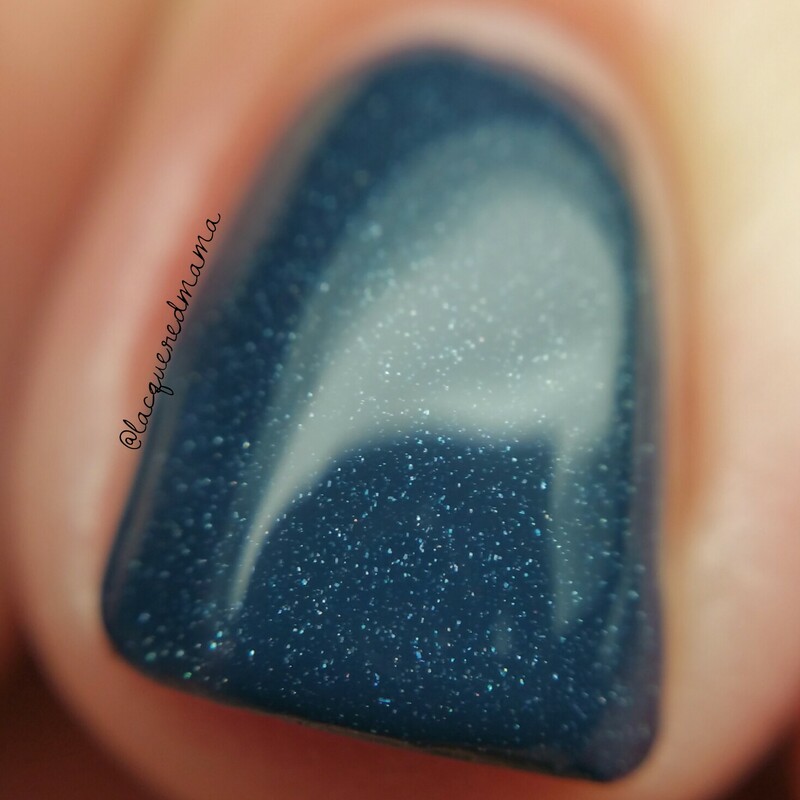 Hoodies and Flannels and Scarves, Oh My is a glorious deep teal holo! I say it again.....fantastic one coat formula! Autumn Joy is a beautiful pinky/coral base filled with golden shimmer! Beautiful. 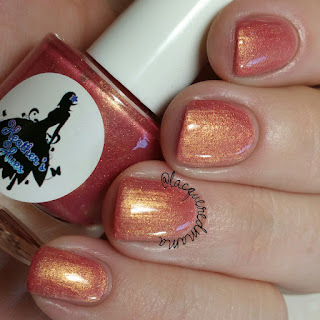 The combination is a perfect rose gold look! Here I did two coats plus topcoat. Chilly Drizzle is a black holo filled with golden micro flakies. This one is right on the edge of being a one coater, though I did two thin coats for my photos! 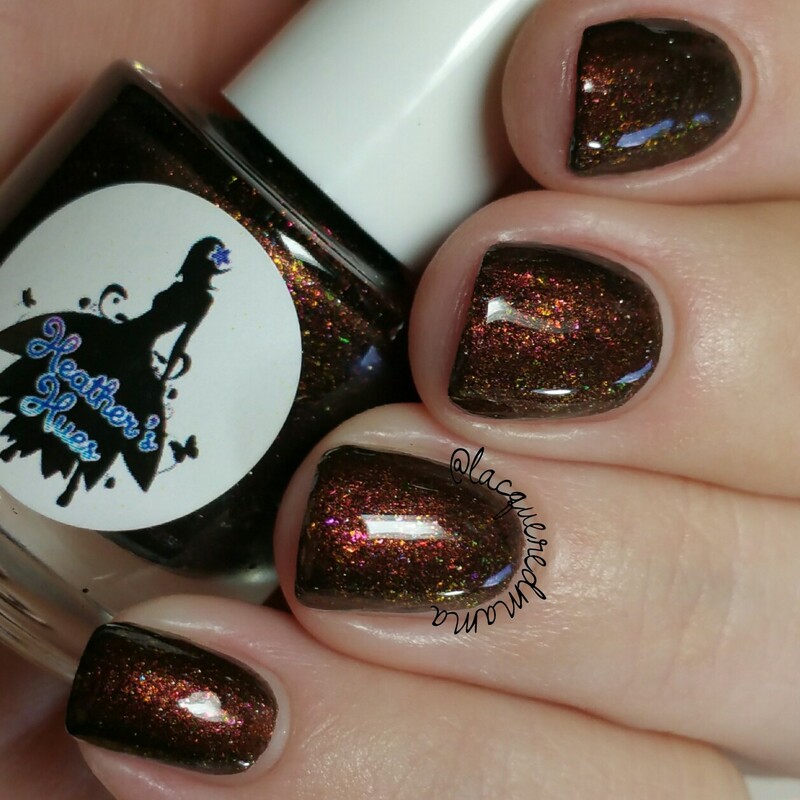 Fall Figs is a gorgeous deep purple crelly base filled with multichrome flakes! Here I did two coats plus topcoat. Love love this collection! It has a lot of variety in color and finish; something for everyone! The It's Fall Y'all Collection will be available in heather's shop on October 8th! Harvest Moon and Latte Love are my picks from this collection. I need them! Those two are actually my favs too! Great formulas on them! Yeah I for sure see two that I need right there. Harvest Moon Skies and Autumn Joy are so gorgeous! Great Swatches! Darn it I need these.